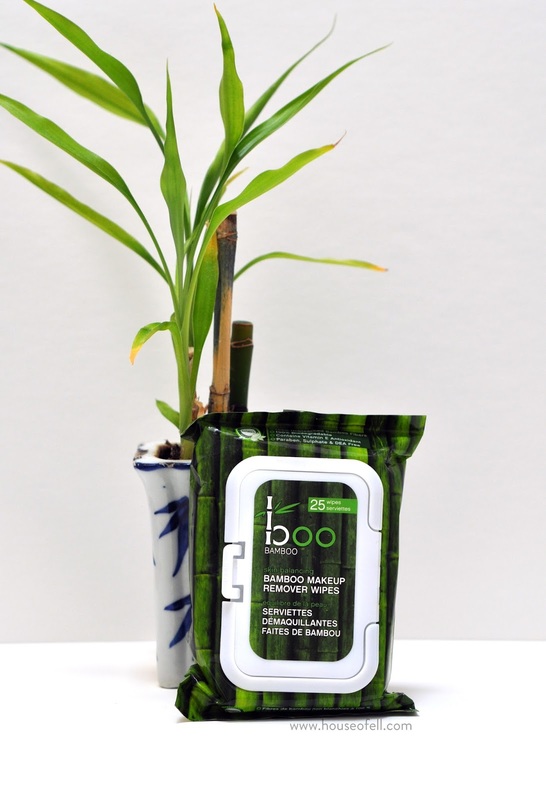 I've been using these Boo Bamboo 'skin balancing' make-up remover wipes for a few weeks now and I've found them to be a really good buy. Boo Bamboo appears to have started off as a hair-care centered company, as that's all they really talk about in their 'about' section. But I did a little bit of digging and it seems they are another Canadian company focused on organic, all-natural, and cruelty free beauty products! The make-up removal wipes in particular are also a good find: biodegradable, unbleached, and free of all sorts of bad things like parabens, sulphate, and DEA. In terms of their effectiveness, I find them useful. I can see on the wipe itself that it clears off my makeup quite effectively. Mind you: I don't wear a lot of makeup. A dab of concealer here and there, a little care to my eyebrows, and some mascara are usually the extent of my routine. I use these wipes as more of an end-of-day cleanser to clean up whatever guck I might have gotten over the course of the day. Also, they do not do a good job of tackling my waterproof mascara. In fact I don't think they remove any of it. And my eyes water a lot from wind and things so I really do need waterproof mascara most days. However, my skin is doing great and I believe having these in my routine is a helpful step in the process! I may or may not purchase these again - only because I'd love to find a wipe that removes my mascara, seeing as that's the only real makeup I wear, and it's really hard on the eyes to not remove it entirely. What face wipes do you use? Do you have something effective for removing tough waterproof mascara?